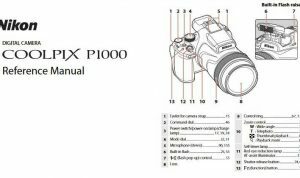 Nikon Coolpix S1000pj Manual is aimed to fulfill the needs toward information of both technical or instrumental issue among this digital camera product especially for Nikon Coolpix S1000pj. This model has a 12.1 effective megapixels compact digital camera. The camera is capable of zooming 5x with a wide angle lens, has an ISO setting range from 80-6400 which can be selected automatically or adjusted manually, and a built in projector that can project an image of 5 inches (130 mm) to 40 inches (1,000 mm) in size and an approximate distance of 26 centimetres (10 in) to 2 metres (6 ft 7 in). The camera also features a 2.7 inch diagonal screen which is powered 230,000-dots of resolution with an anti-glare coating. Nikon Cooloix S1000pj couples a 12.0 effective megapixel image sensor with a Nikkor-branded 5x optical zoom lens that offers 35mm-equivalent focal lengths from a useful 28mm wide angle to a 140mm telephoto. Maximum aperture varies from f/3.9 to f/5.8 across the zoom range. When Nikon Coolpix S1000pj was firstly released to the market? How much the price when Nikon Coolpix S1000pj firstly released? Nikon Coolpix S1000pj is a good choice for anyone who wants an easy to use camera that delivers good-looking pictures with pleasing color and plenty of resolution. It was announced by Nikon on August 4, 2009. 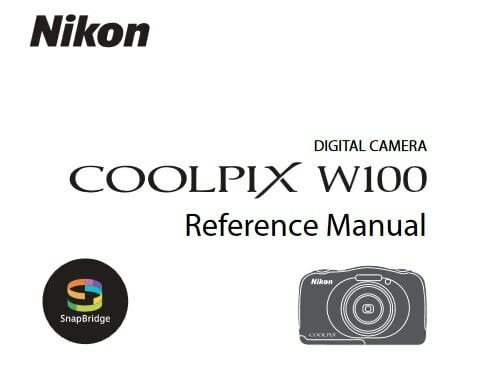 In the first release, The Nikon Coolpix S1000pj pricing set at about $430.00 body-only. Now, if you’re interested to own this compact digital camera device, you can get it in several online stores by paying for the used products start from $169.99 of the Nikon Coolpix S1000pj 12.1MP Digital Camera with Built-In Projector and 5x Wide-Angle Optical Vibration Reduction (VR) Zoom. digital camera especially of Coolpix S1000pj models. Read this manual thoroughly before use, and keep it where all those who use the product will read it. 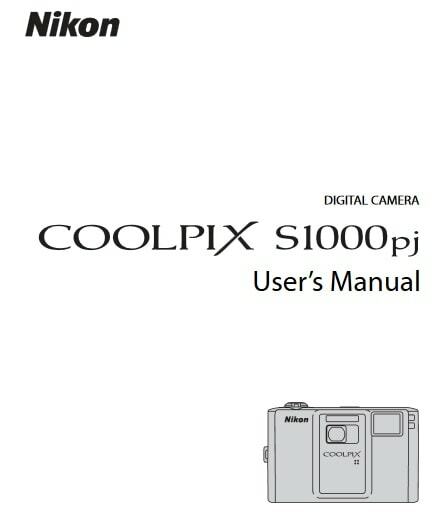 Feel free to download the nikon coolpix s1000pj manual user guide at below. Visit here to go back for the list of Nikon Camera Manuals here.